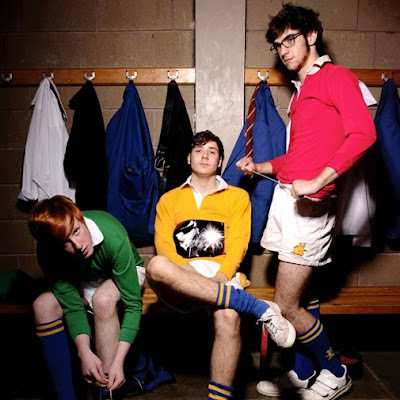 Two Door Cinema Club, an upbeat electro-pop trio from Northern Ireland, has been gaining momentum throughout Ireland and the UK over the last year or so. Now with the approaching release of their debut LP at the beginning of 2010, they're poised to come on strong on this side of the Atlantic as well. They will be releasing their catchy new single 'I Can Talk' next month. In the meantime, I stumbled upon this great, quirky and dance floor ready remix of the song from Brooklyn's always awesome French Horn Rebellion! Enjoy!